After being roundly panned for a heroically tone-deaf and appropriative ad in which Kendall Jenner, social justice warrior, initiates world peace by handing a can of soda to a curiously underdressed cop, Pepsi has issued a few statements to clear the air. This was clearly tough, given that Pepsi is still the same company that created this ad. 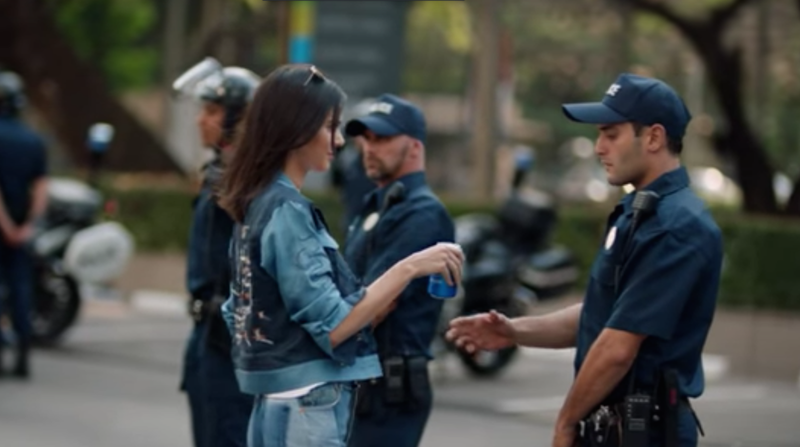 Do You Hate This Cloying, &apos;Resistance&apos;-Themed Kendall Jenner/Pepsi Ad As Much As I Do? This must have been aimed at convincing people that this large corporation in fact has a solid grip on reality—it must have—which is why their decision to use these particular words is so... incredible. Meanwhile, in the stately driveway of a Greenwich, Connecticut 7-bedroom, there is a Pepsi executive spooning his Tesla whispering “a point where multiple storylines converge in the final advert” over and over again until he gently falls asleep.